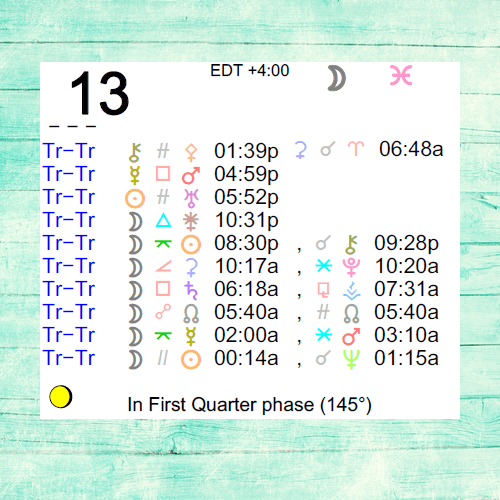 The Moon is in Pisces all day (until Friday, October 14th, at 11:08 AM). 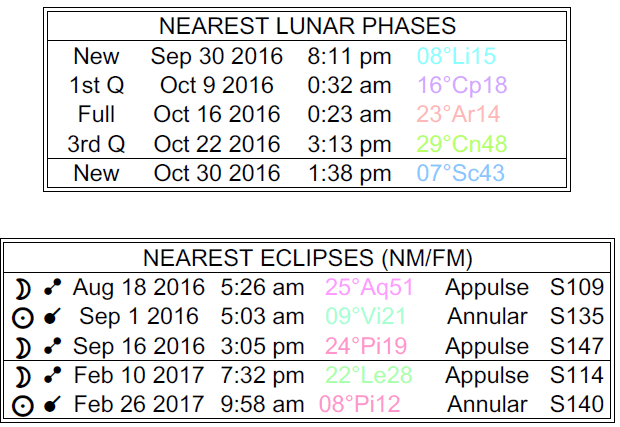 A First Quarter Moon occurred on the 9th, and a Full Moon will occur on the 16th. 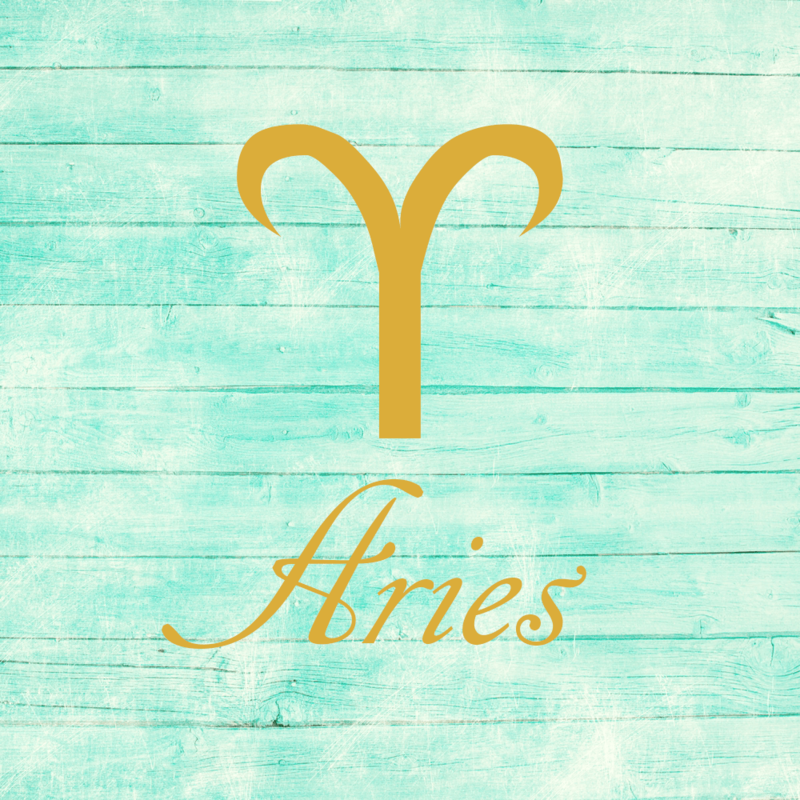 If you’ve been avoiding issues or overlooking problems, dear Aries, they will be hard to ignore today. Today’s energies can be difficult in a tense kind of way. People (including you) may seem aggressive or pushy and very hard to please. Perhaps you only need a push to get going and the tension generated now can certainly do the trick. Identify your limits and enforce them if you have to, but you may want to consciously call upon tact. Agitations about work can have their root in increased ambition. You are feeling a stronger desire to do more, but the pesky things in your life seem to threaten to keep you from reaching your goals as quickly as you’d like. Argumentativeness is entirely possible today, but can also be avoided, particularly if frustrations are really about something else altogether. 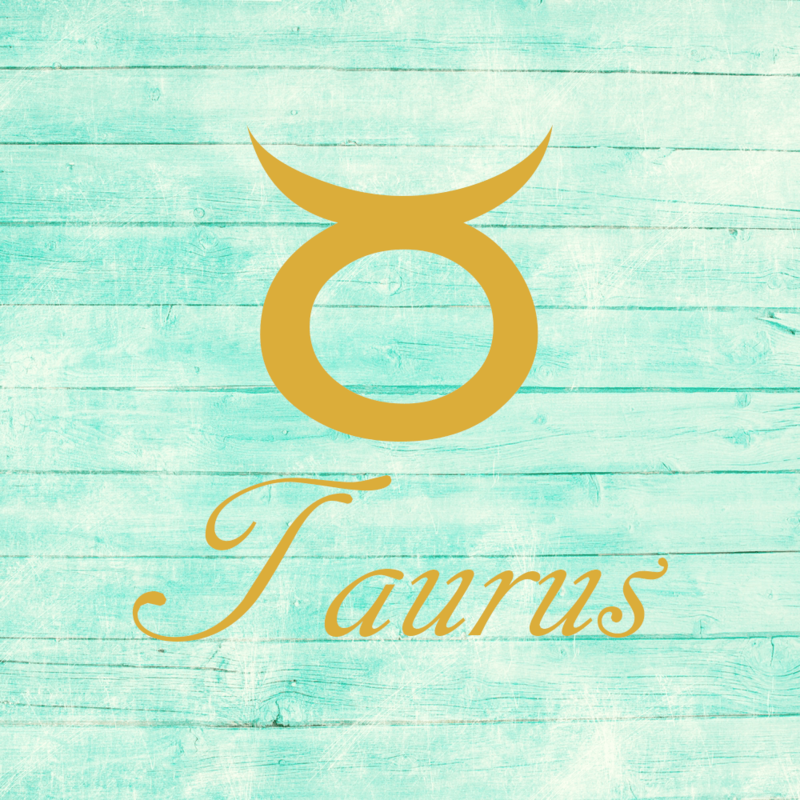 You have a stronger than usual desire to take the pressure off today, dear Taurus, and there will be some spots for this, but the overall energy of the day is hectic and hyper-sensitive. Off timing is likely when it comes to conversations, transportation, and appointments. People can be tense on the road and while shopping, for example. 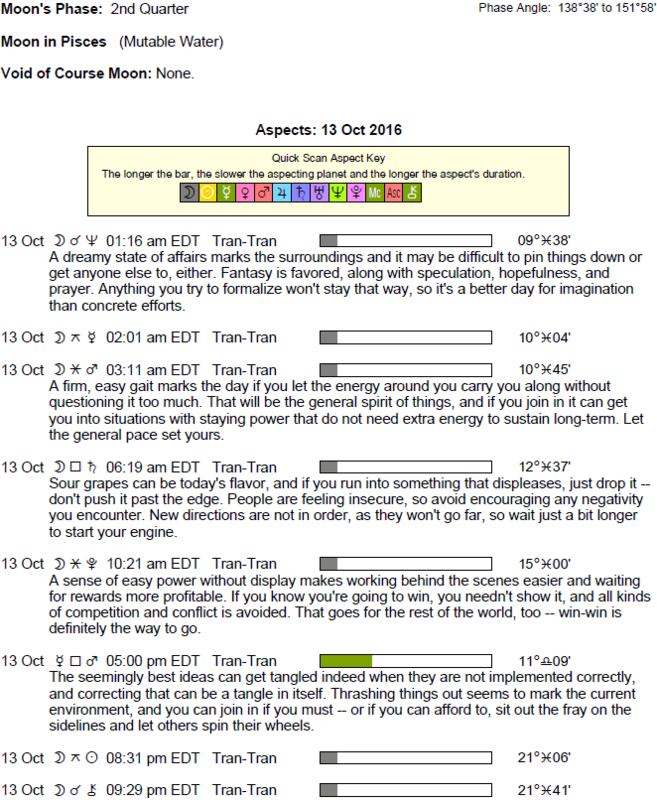 This is due to a Mercury-Mars square influence that can convince us that we need to move more quickly or that we don’t have enough time to do everything we want to do. For you, work is most affected. Transportation issues can also be challenging. Underlying these things is a deep desire to get away from it all that can interfere with the practical realities of the moment. Look for the quieter moments and try not to succumb to pressures to push too hard. 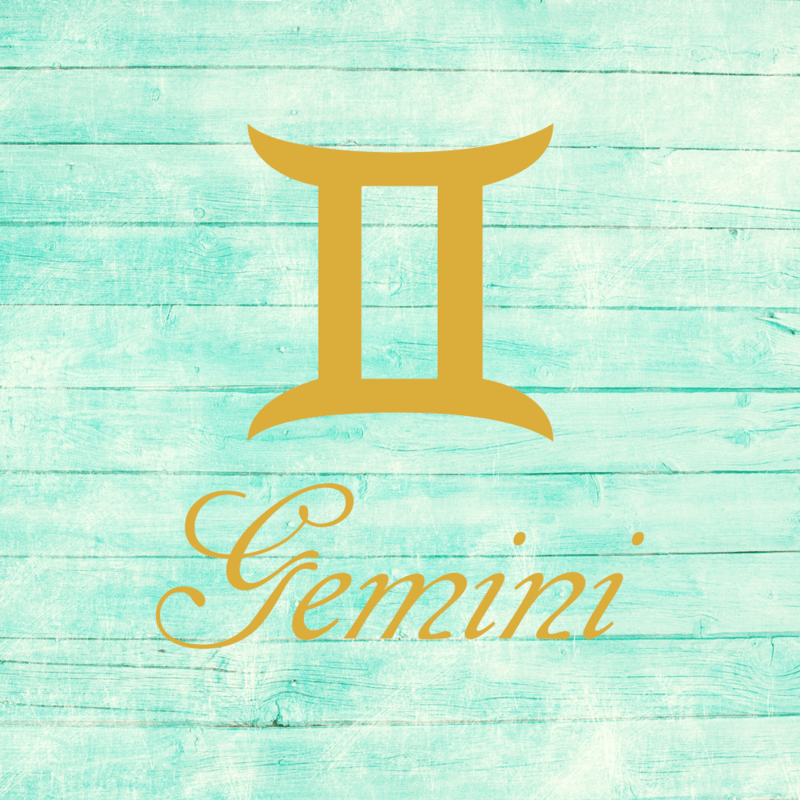 Part of you wants to take a risk today, dear Gemini, and another part wants to hold back. You might also experience ups and downs as you teeter between wanting to take things lightly and have fun, and seeking out more depth, intimacy, and serious discussions. Your inner voice may be telling you that it’s not quite the right time to push forward, and it may very well be right! With conflicting messages within, it’s best to wait for important initiatives until you’re truly confident about them. They can also stimulate tensions in relationships that revolve around jealousy, sharing of power, and level of intimacy. Watch for arguments today over the little things. They likely stem from impatience, so slowing yourself down can help. 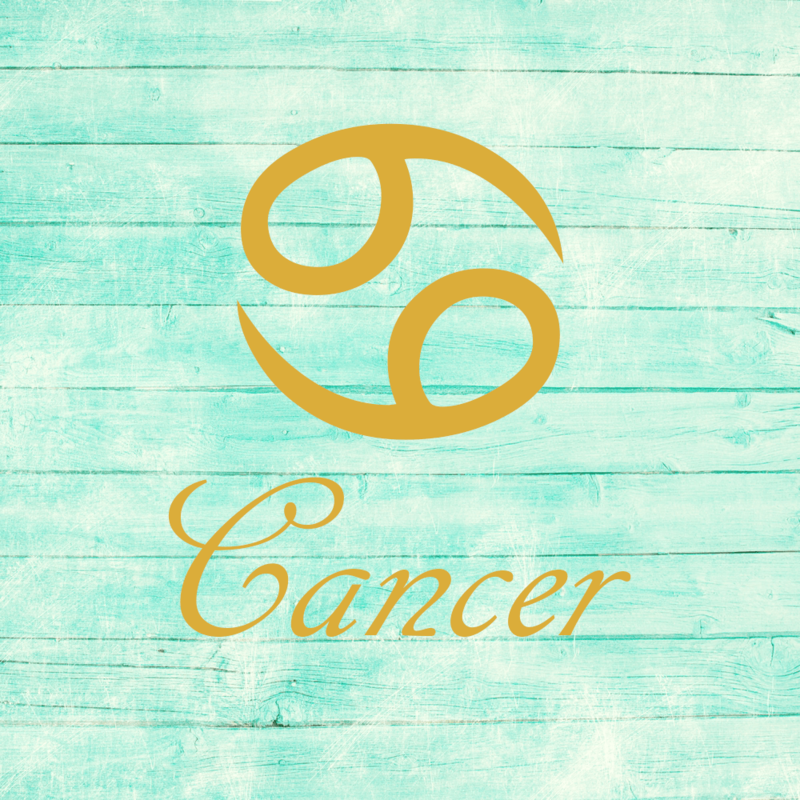 There is abruptness in movement and speech today, dear Cancer, which can try your nerves. Relationships with a significant other or family member can be a little strained if everyone’s distracted or if they’re looking to do something too quickly.Breaking out into a new path of self-expression will come across as insincere or rebellious if it’s premature. Try not to rush things, and don’t let others boss you around today, either. Others can be cranky, but try not to take on too many problems that are not your own. You may be feeling completely misunderstood, making this a difficult time to get things off your chest. Haste makes waste, particularly today. Later today, find ways to relax and unwind. 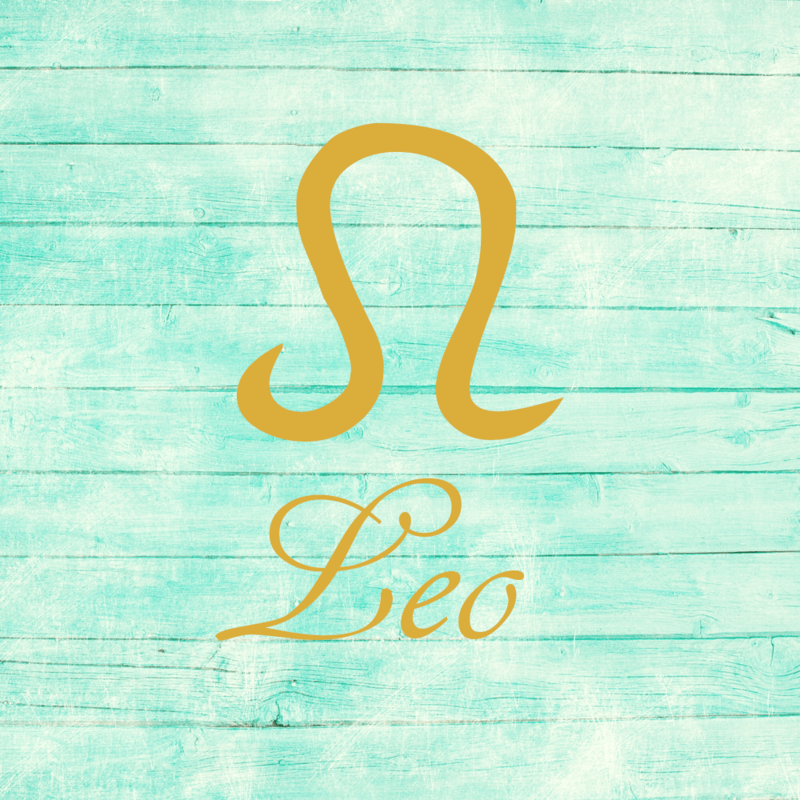 This can be a day in which impatience, verbal battles, and irritating disputes can interfere with comfort, dear Leo. While you’ve been coming across very smoothly lately, people and chaotic schedules can try your nerves and quick words are possible. Think about the consequences before pressing “send” today. You can too easily be irritable today if you let the little things get to you. You may be too busy to think, however, because the energy of the day is quite hectic and tense. The things you want to do, you want to do well, but with so many distractions and mental pressures today, it can be difficult to focus and concentrate. It’s time to take a deep breath! Slowing down just a little now can ultimately get you where you want to go, if not faster, more competently. 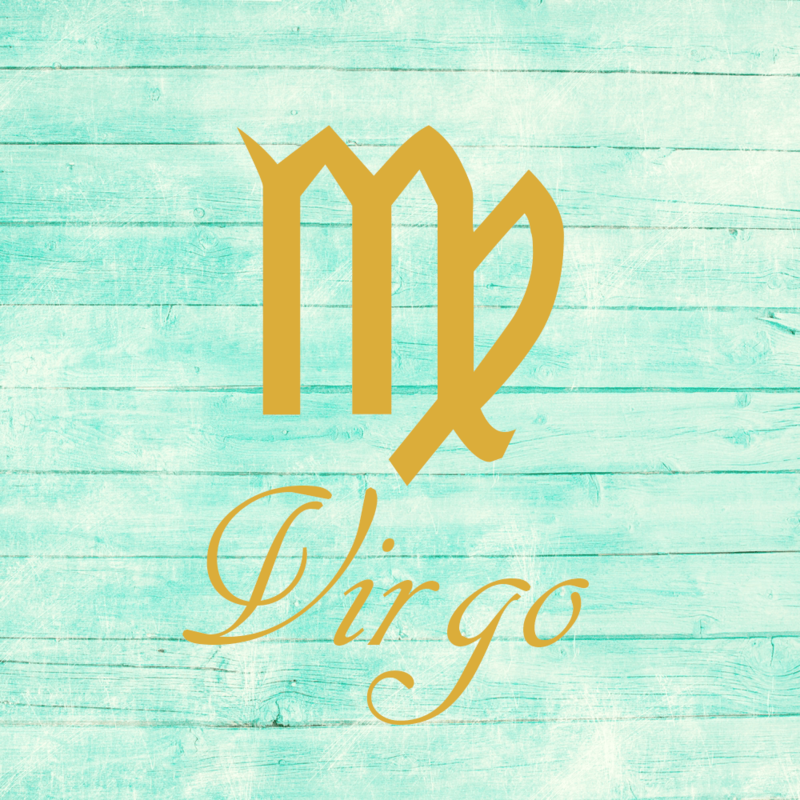 You can quickly become defensive today, dear Virgo, if others seem to block you or question your reasoning and actions. A Mercury-Mars square can make it difficult to relax. However, it can give you a push to take care of matters that you’ve let go. You might also thoroughly enjoy an intellectual challenge now, although becoming consumed in your interests can result in a bit of chaos around you. Try to avoid communicating in haste and attempting to move about too hastily, as these are things that can get you into trouble today. This can also be a day when impulse buys are seductive. A significant person in your life may be able to calm you down if you let them! 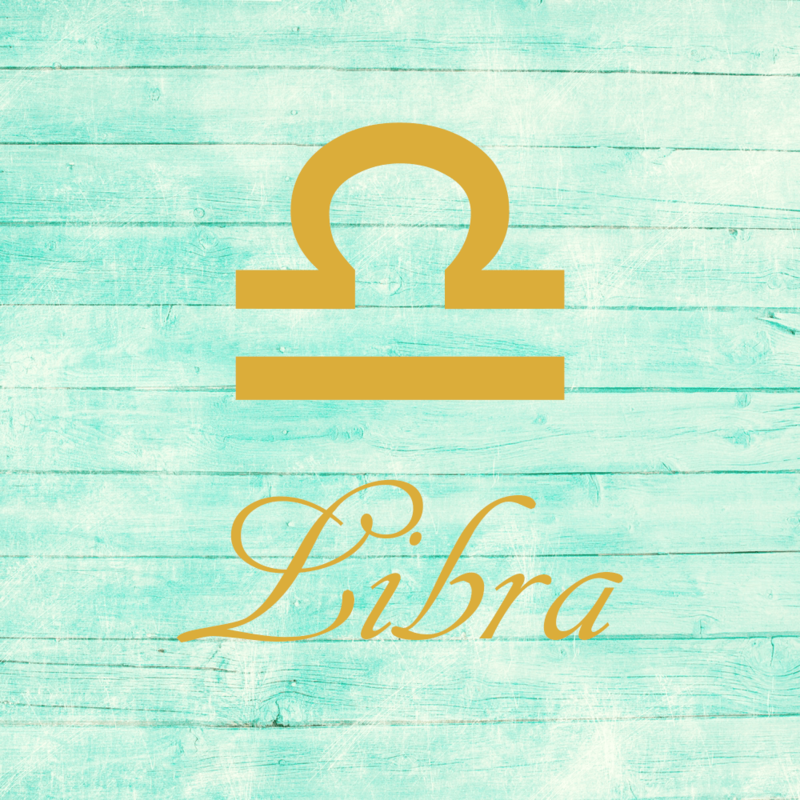 This can be a time of great mental busy-ness, dear Libra, although it can also be a time of great mental pressure! Try to recognize when passion begins to turn around on you today and consciously slow your pace. Mercury in your sign forms a tense aspect with Mars, and pushiness, impatience, and hastiness can create all sorts of little headaches in your life if you’re not careful. Enjoy the increased motivation to get things done, but recognize your limits, as well as the limits of time – there are only so many hours in a day. If you take on too much, you risk not following through because you’re overwhelmed. As well, watch that you don’t come across in a tense manner. 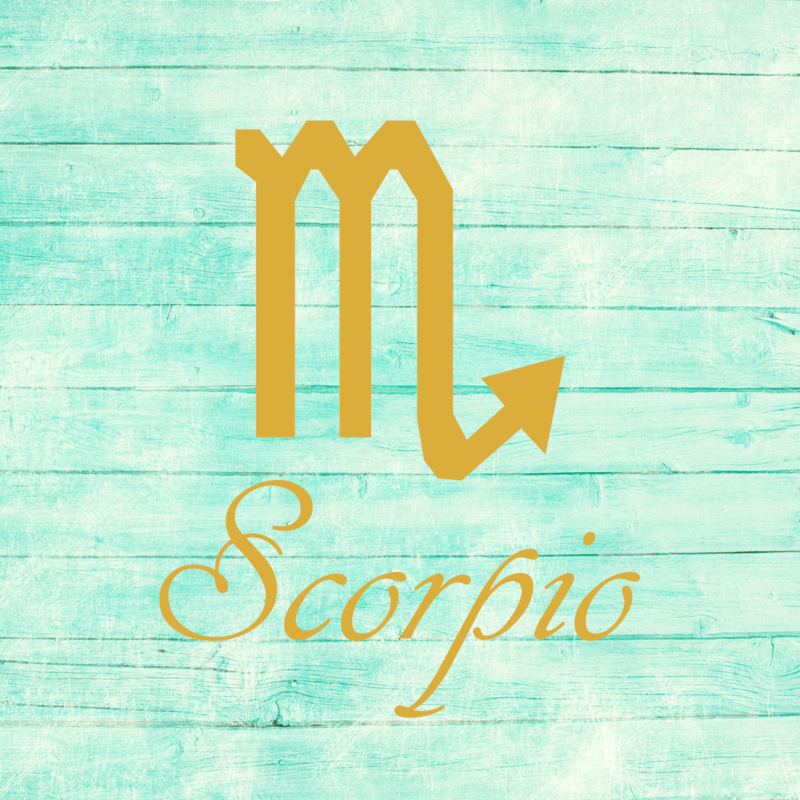 Unresolved matters can weigh on your mind today, dear Scorpio, and can distract you from the productivity that you so crave now. You can be very focused and ambitious these days, but distractions and small problems can nag at you, spoiling your concentration today. This can result in tense speech and foul moods. It will be especially important to avoid abruptness in speech and movement, as well as communicating about something prematurely. There can be competitiveness with others that irritates rather than motivates now. Try not to put plans into motion because you’re impatient. Wait until you’re confident and have time to put more thought into it. 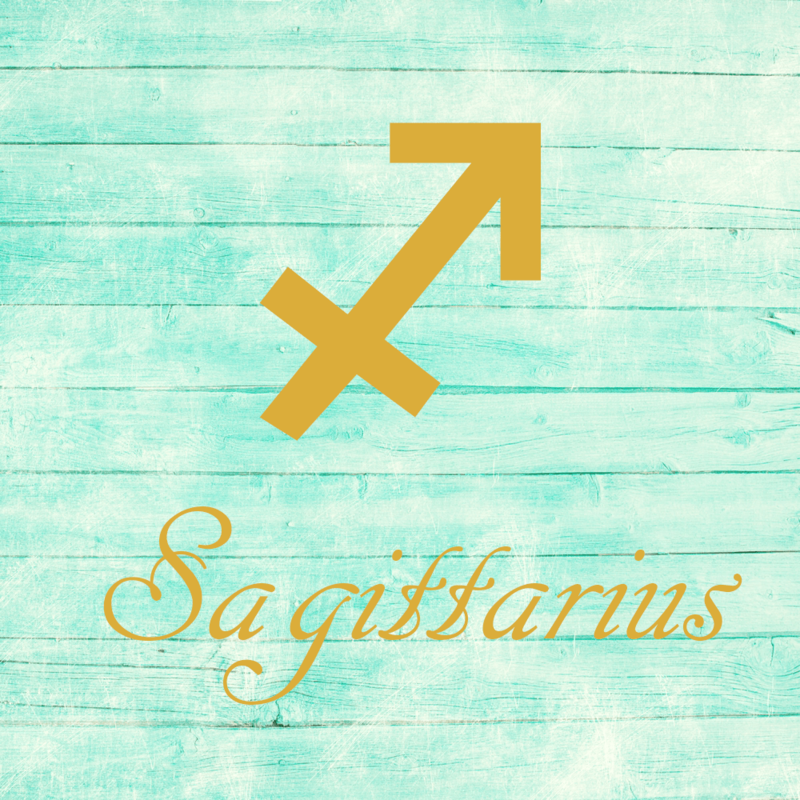 There can be a strong desire or need to focus on practical affairs these days, dear Sagittarius, in a deliberate and focused manner. However, there can be so many distractions today that if you don’t adapt to them, you end up feeling very stressed out. Sharp words can be exchanged, and debates can become heated now. Friends and networking can be draws, but they can also add a lot of chaos and disorder to your day. Identify your priorities and recognize that you can’t do it all in so little time. Protect yourself from frayed nerves – you don’t need them! Use the accelerated energy of the day for building the courage to put a negative situation behind you or for finally taking care of an errand or problem that has been hanging around for far too long. 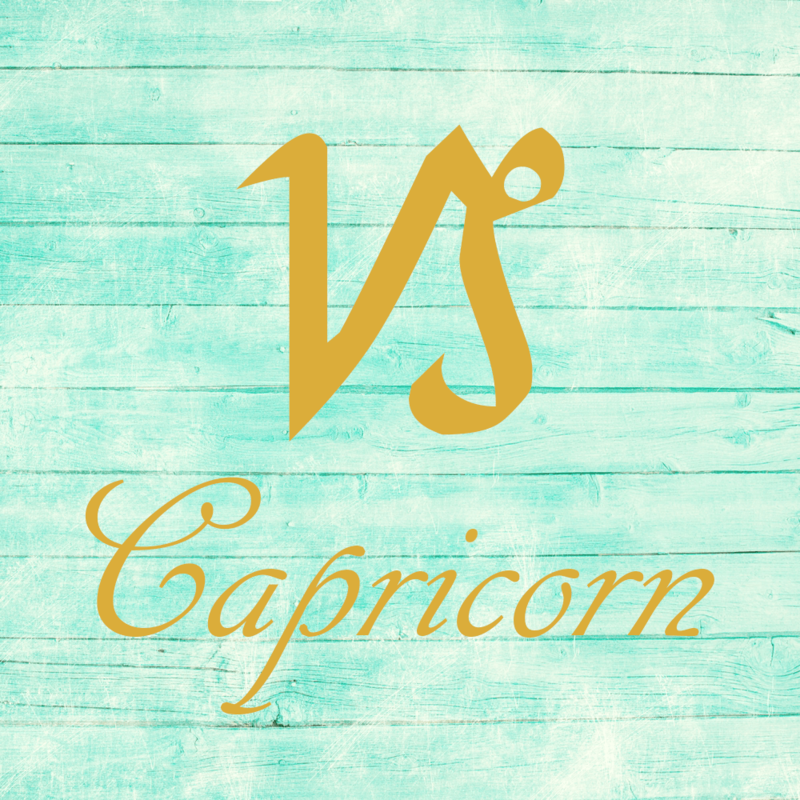 You can be very determined and consumed by your personal interests and plans these days, dear Capricorn, but your dedication can sometimes lead to misunderstandings with others. Today, watch for a tense presentation. As well, you may end up misrepresenting yourself as your desires and what you’re saying can be completely out of synch as Mercury and Mars clash. Watch for nervous tension and haste that can lead to making mistakes, speaking too soon, or launching a project before it’s ready. You can get high on the excitement of starting something new, temporarily forgetting the satisfaction of seeing it through to the finish. 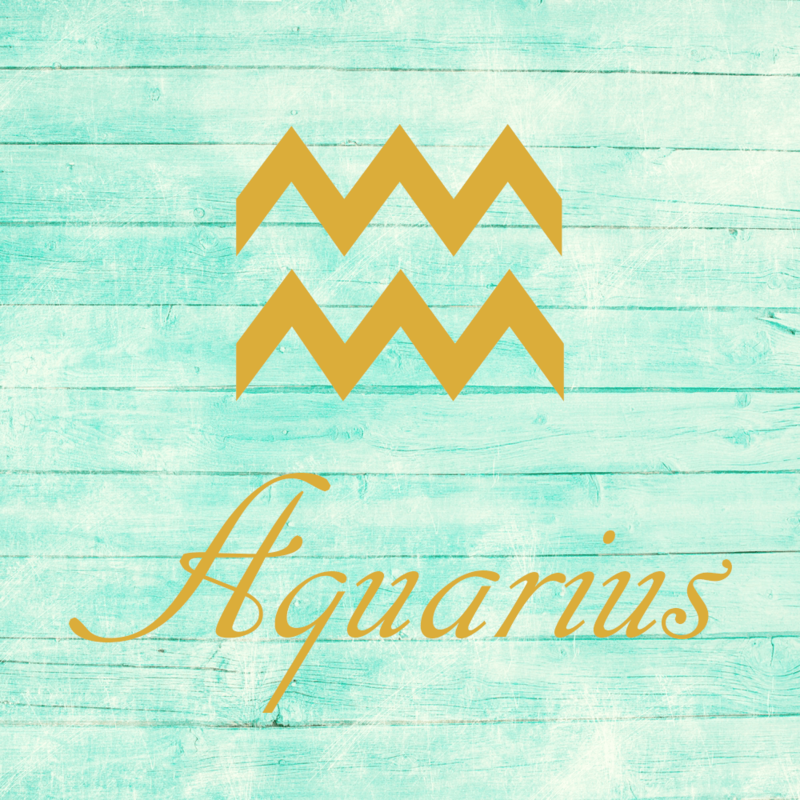 Avoid hasty and impatient behavior today, dear Aquarius, particularly with communications and moving about. There can be a tendency to feel pressured as if you no longer have the time to get something done. If you are, in fact, faced with a deadline, then by all mean deal with it, but if not, consider whether you should take more time with something before pushing your way to the finish line. Delays may be harder to take today. All of the little problems in your life can somehow assume far more importance to you, and you’ll want to put them behind you. Choose your battles wisely now, however, as it can be all too easy to get worked up over trivial matters. 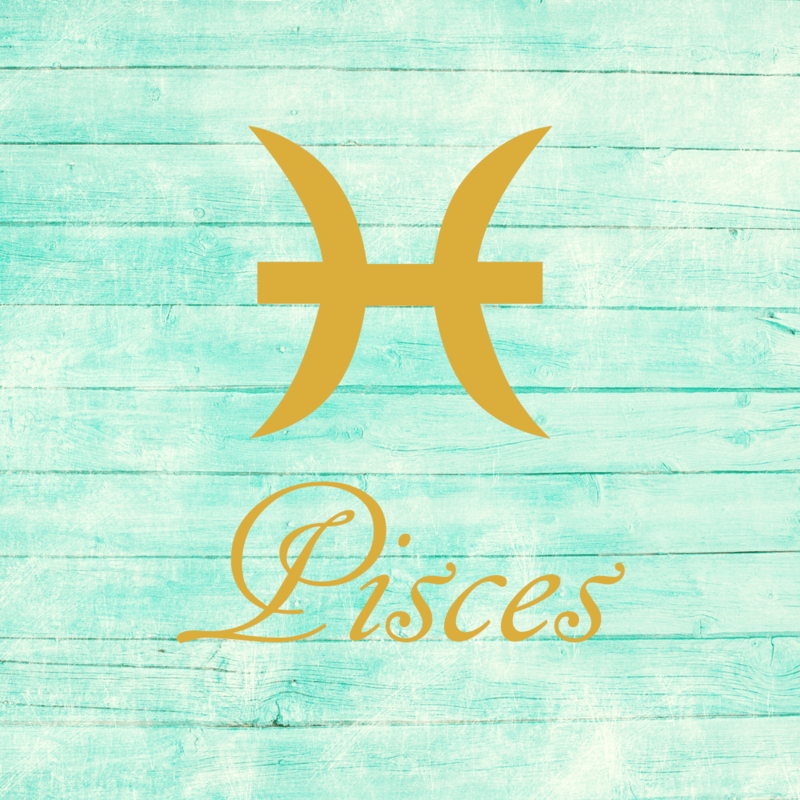 Relationships can be a little confusing today, dear Pisces, and your own mood can waver between lighthearted and serious. People can be impatient and brusque today if they’re focusing on the little problems in their lives that have accumulated. It can be all too easy to react to others’ words too quickly or to take offense. There can be disagreements about the depth of involvement with someone, money matters, and ownership. Resentments that have been building up can have a way of emerging in disruptive ways today. Do your best to slow yourself down or identify your priorities and tune out distractions. *Remember to read horoscopes for your Ascendant sign and Sun sign. Daily Horoscope page for Aries here, < Daily Horoscope page for Aquarius here, Daily Horoscope page for Pisces here. If Your Birthday is October 13th, If Today is Your Birthday full horoscope here. Even-handed, harmonious, artistic, diplomatic, balancing, a strong sense of fairness. Can be over- compromising, appeasing, judgmental. We are not very goal-oriented right now, or motivation to pursue our goals may be waning/lacking. Changes feel overwhelming. Enthusiasm may be little, we argue less, and we think more than we take action. We are ready to take action and to take on challenges and can become frustrated with stagnant conditions. We may want to break free from restrictions or responsibilities, but if we aren’t in touch with this, we could cause some problems. There could be restlessness and rebellious feelings. We don’t want to be told what to do. Exercising some restraint can help us to make needed changes. We could misjudge our capabilities now and might end up pushing ourselves or others to a point where we feel hurt, rejected, or crticized. Or, we might struggle with a situation where we may need to humble ourselves. People or circumstances may seem to be exposing or playing on our vulnerabilities. We may not be seeing things clearly, or we are second-guessing our perceptions. There can be difficulties concentrating and focusing. You feel a call to serve others perhaps through a profession or through religion. You will need to learn what is reasonable to do for others, and what is over stepping the boundary of your responsibility. Sabian Symbol: A Greek muse weighs in golden scales just born twins. Your mind can be brilliant, original and insightful. You are able to quickly grasp new ideas and apply them to the future. You fight for your ideals and humanitarian or political causes. Sabian Symbol: A bunny metamorphosed into a fairy. Moon 05° Capricorn 46' 25"
Mercury 09° Aries 36' 29"
Venus 04° Aries 31' 29"